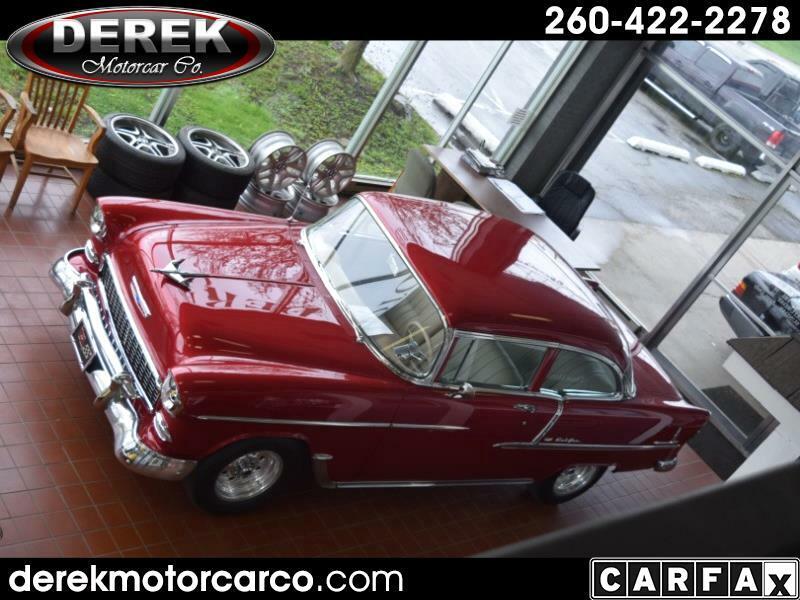 Used 1955 Chevrolet Bel Air for Sale in Fort Wayne IN 46805 Derek Motorcar Co.
One of a kind, Resto Mod. This beautiful 1955 Chevy Bel Air is Candy Apple Red, with beige custom leather interior. Engine is a 355 ci Small Block Chevy, 425 HP. Power Steering, A/C, Pioneer AM/FM CD Radio, Power front windows, roll down rear windows. Lots of chrome. Full custom interior by Shannon Walters. Rides and Drives. A must see. A must have! See it today at Derek MotorCar, 1001 N. Coliseum Blvd, Fort Wayne, IN 46805, call 260-422-2278 with questions.